Shop online for 44 lonestar model trains. 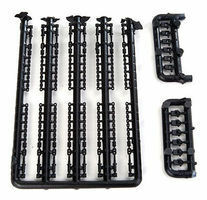 Roadway is the most popular of the 4 lonestar model trains categories, then Railroad Scenery, and Parts. 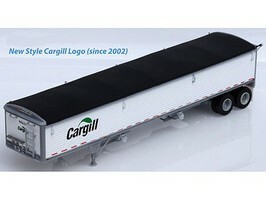 This is the Wilson 43' Pacesetter Grain Trailer Kit from Lonestar Models. Molded Aluminum Parts w/Painted Panels (white) in HO Scale. This is the Wilson 43' Grain Trailer Kit from Lonestar Models. Unpainted Sides & Ends, Dark Blue Tarp in HO-Scale. 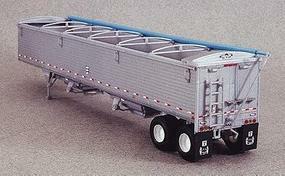 This is the Wilson 43' Grain Trailer Kit in HO-Scale from Lonestar Models. 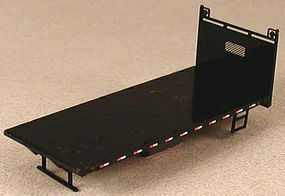 This is the Lumber Truck Bed (Black) 20' Flat Bed in HO-Scale from Lonestar Models. This is the Load Tie Downs from Lonestar Models. 15 Chain w/Rachet & 12 Roll-Up Tie Downs (Black) in HO-Scale. This is the 40' Trailmobile Flatbed Trailer (gray) in HO-Scale from Lonestar Models. This is the Decal Sheet For Lumber Truck in HO-Scale from Lonestar Models. This is the 40' Trailmobile Flatbed Trailer ATSF (white) in HO-Scale from Lonestar Models. This is the 40' Trailmobile Flatbed Trailer (construction yellow) in HO-Scale from Lonestar Models. This is the 40' Trailmobile Flatbed Trailer (Standard Red) in HO-Scale from Lonestar Models. This is the 40' Trailmobile Flatbed Trailer Viking Freight (Blue) in HO-Scale from Lonestar Models. This is the Wilson 43' Grain Trailer Kit from Lonestar Models. Black Tarp & Prepainted Panels (white) in HO-Scale. This is the 40' Trailmobile Flatbed Trailer Strick Lease (Red) in HO-Scale from Lonestar Models.